Enabling data to be the true game-changer. IBM and Big Data had an image problem with Big Business. Business leaders of Australia’s top 100 companies saw IBM as a supplier of hardware and software, not as a source of analytical smarts that go with it. Our strategy was to create an amplification idea: a way to show IBM's business audience that, by engaging the general population in smart data and analytics, we were demonstrating first-hand how we could help their business. Our platform - the Australian Open. 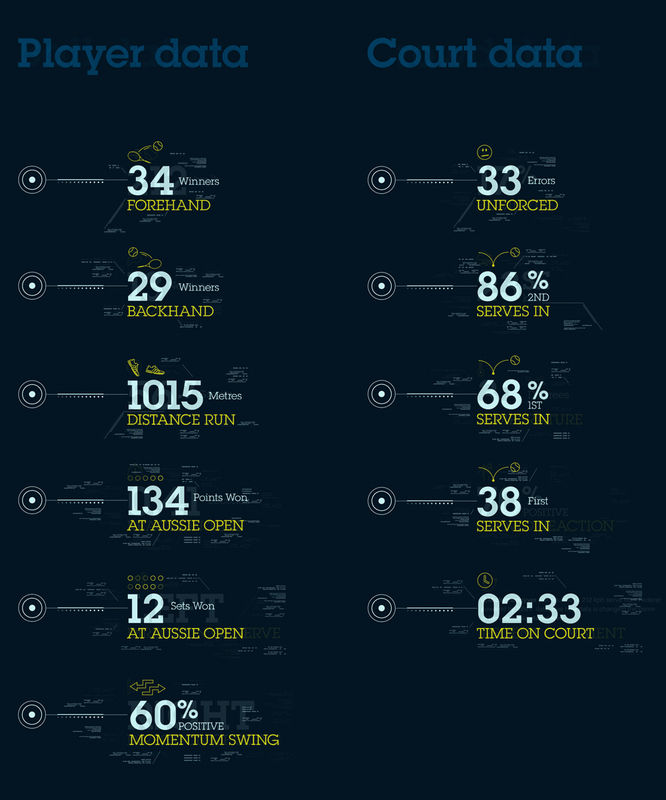 We used the Australian Open to show Australia how useful, accessible and exciting data could be. IBM ReturnServe gave tennis fans something they’d never experienced before: the skill required of a professional tennis player, and the chance to face a serve from their favourite players. But this was not just any serve; it was one that happened on court as little as six seconds earlier. This was made possible through Oculus Rift technology, which allowed us to give participants the sense that they where really there. By wearing the virtual reality headset while holding the accelerometer-enabled racquet we developed, users were virtually transported to the baseline of Rod Laver Arena. Using IBM’s data, we were able to track the speed, direction and position of the serve – which occurred live only seconds earlier – and recreate it within the experience for participants to test their mettle. After they made their first attempt, it was measured and analysed so fans could get insights and recommendations to help make their second attempt more successful. Finally, the player was taken through a visualisation of all the data points that IBM was tracking with every point played at the Australian Open. It was a great demonstration of how data has the power to be a game changer in any application, and give fans a deeper appreciation of the game. We also developed a desktop version of the IBM ReturnServe experience. This was powered by the same data, which everyone could play via an internet browser at work and home.